Today’s appointments consisted of cardiology, physical therapy, and AFOs. For cardiology we go in every 3 months. Since Hailey has had her pacemaker she has gone into complete heart block. That means her pacemaker is pacing 100% of the time. Usually a pacemaker just kicks in when you need it, if your heart missed a beat. Hailey’s brain doesn’t connect well enough “electronically” to her heart. We go so often just to make sure her heart is strong enough to handle the constant pacing. There was some unexpected news but nothing that we weren’t able to catch and interviene in. There were a few adjustments made and as always we continue to monitor. The Cardiologist feels like we are no longer a step behind but we can not predict how her heart will respond, so constant monitoring is crucial! It’s extremely scary but we trust our Cardiologist. We haven’t been as diligent with physical therapy since we are constantly out of town. Luckily we have made friends with our physical therapists who are happy to see Hailey “off the clock” or on their lunch break! Lastly we have been working on getting new AFOs. Those are the braces she wears in her legs to help her walk independently. We had the molds done and sent off and we went in for adjustments yesterday. They will be changed where needed and we will pick them up when they are complete. In the mean time we will find new (and unfortunately expensive) shoes to go with the new orthotics. 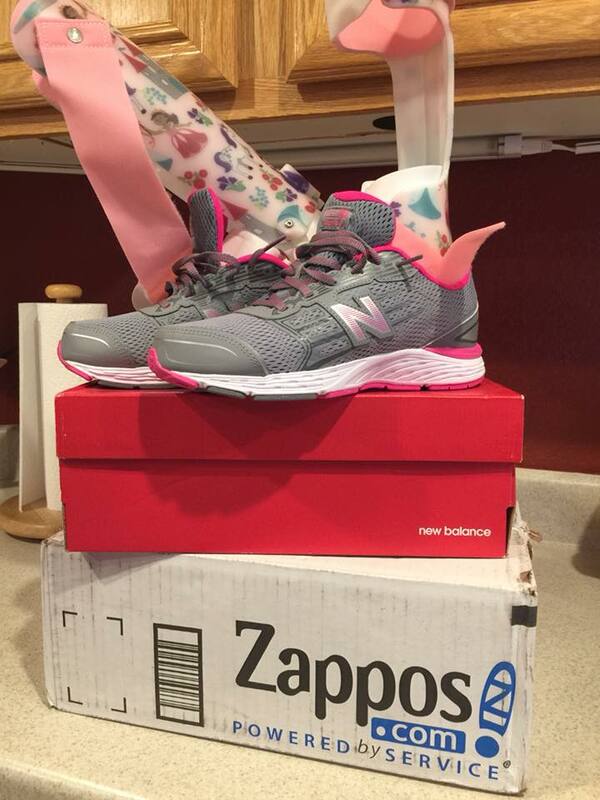 We usually go into a New Balance store and find Hailey’s new size and then order them from Zappos.com wait until you see the pattern on the AFOs. It’s totally Hailey! After such a long stressful day we took Hailey to the St. George Children’s Museum to unwind before the long drive home. Post on that to come soon! 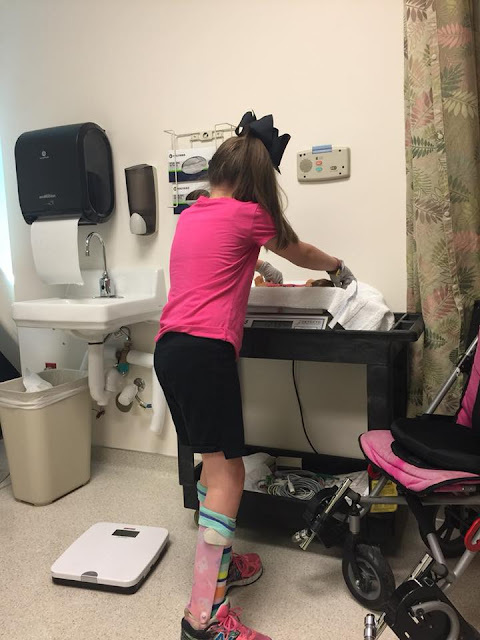 Hailey had trouble walking after her very first #ataxic episode when she was three. The damage to her brain from #Leukodystrophy has caused a permanent result in Hailey requiring assistance to walk independently. She has been wearing AFOs (ankle, foot, orthotics) since she was 4. She first got them right before her Make a Wish trip. There are some shoes that are especially made for AFOs, but the price is a bit ridiculous (as with any special needs items) since Hailey grows so fast. We have found that New Balance shoes that are in extra wide will fit over the AFOs but they are actually 2 sizes larger then Hailey feet without braces. First Try and just imagine walking comfortably in AFOs that are made of hard plastic for over 12 hours in a day. Then imagine wearing shoes that are 2 sizes too big for you on top of hard plastic that encases your feet? Sounds like a nightmare right? This is what Hailey endures to be able to walk independently. She isn’t the type of kid that wants to depend on her wheelchair but when the pain is too much she will comply. We found that Zappos.com will carry the extra wide shoes online since the New Balance stores NEVER have enough in stock. Zappos For Good shoes can be found on the website (from a desktop, I couldn’t find it in my mobile device) and while those shoes might work, what 10 year old do you know wants plain black, brown, or tan orthotic shoes? While shoes aren’t the only things that aren’t adaptive to medically fragile or disabled children, these extra wide shoes are a start. When Hailey got her pacemaker she couldn’t lift her arm over her head to put on a shirt, and button down shirts got in the way of her g-tube. Even most pants get in the way or press against her g-tube. She’s never worn a real pair of jeans/denim before, not over AFOs. She has a long torso so she needs longer shirts for g-tube feedings so her stomach isn’t exposed, but when you buy longer manufacturers assume you need wider as well and that is not our need. Then socks, lucky we’ve been able to find fun socks to wear with AFOs, but we need more that aren’t soccer socks that are long and colorful. Thank you to Sasha for helping w/shoes. The other day, before school, Hailey noticed a glowing light dancing around the room. 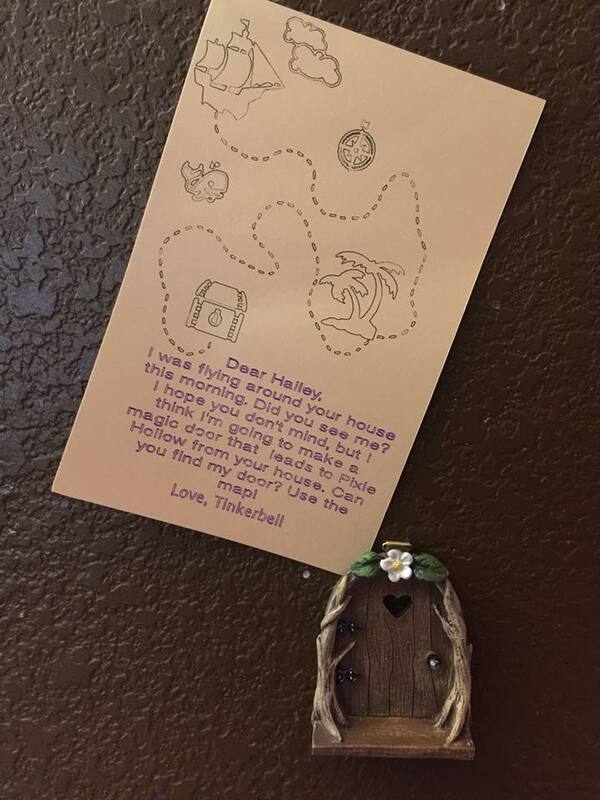 (Her dad’s watch was reflecting against the sun and making a rainbow light on the walls) Hailey’s explanation of the Mystery light was simple, “It’s Tinkerbell coming to visit me!” Since we haven’t been to #Disneyland in quite some time Tinkerbell MUST be wondering where Hailey is right? Hailey had to go to school but Hailey was thrilled with the quick visit from her favorite fairy. I thought it would be fun (maybe I’m completely silly) to have a little door that lead to Pixie Hollow that Tinkerbell could use when she visits. It’s a long way to fly from Disneyland to Vegas! We had an exciting weekend for Hailey! You know how much this kid loves watching the races! 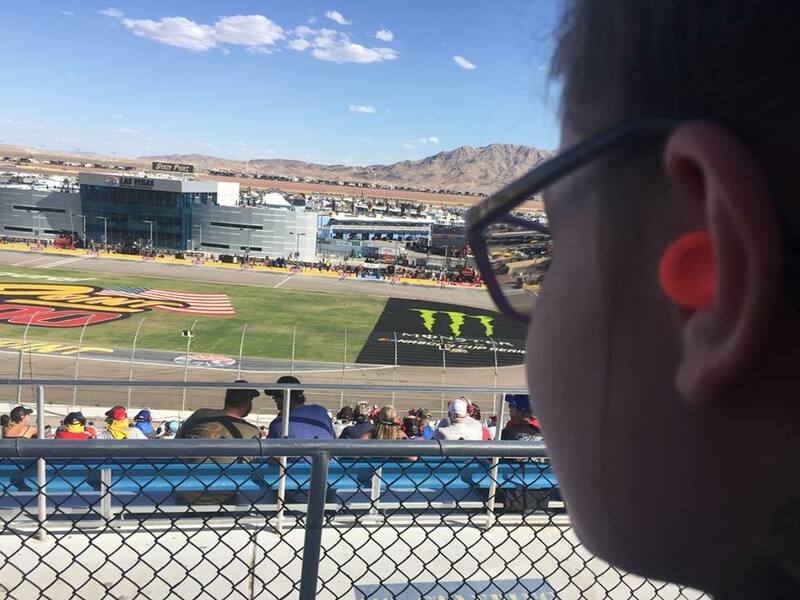 She’s a fan of RallyCar, NHRA, and Nascar. 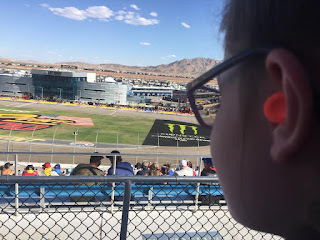 We were given tickets to Nascar weekend here in Las Vegas and it was great family time together! 🏎 💨 Thanks goes out to Paula for donating her tickets to our family. It was a great event! I can’t tell you how many times I’ve walked into this hospital. I can’t tell you the number of nights I’ve spent trying to sleep in an uncomfortable hospital chair either in Hailey’s hospital room or the waiting room. How many hours I’ve spent waiting on updates from nurses about Hailey’s surgeries, MRIs, and procedures. How many times I have given my daughter to doctors who are really strangers and allow them to care for her during the times when she vulnerable or was unable to speak or care for herself. It’s unimaginable for some and it’s reality for so many. 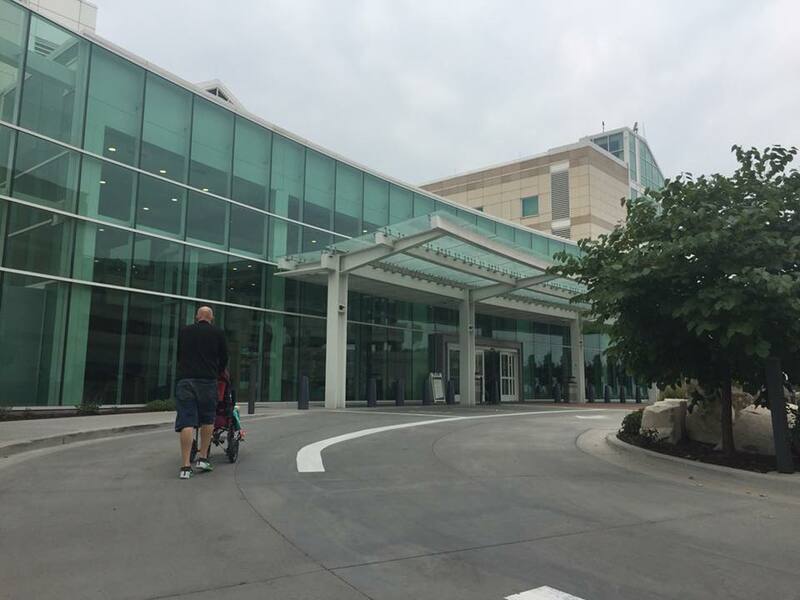 If we didn’t have this hospital available to us (even though it’s 400 miles away from home) I don’t know where we’d be today. The doctors here diagnosed Hailey with Leukodystrophy 6 years ago. They work as a team to try to understand and predict what Hailey’s future, our future, will be like. Primary Children's Hospital is almost like our second home, and even though I’d love a second home anywhere but there, this is our journey, and these are our memories. You have to try and remember the good and try to forget about the scary. As long as we need to we will continue to make this walk into this building as a family.